It’s almost upon us. 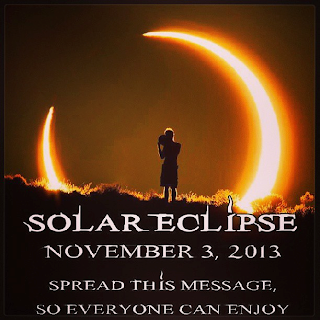 The final eclipse of 2013 will occur tonight, November 3rd. A solar eclipse occurs when the Moon passes between the Sun and the Earth and directly blocks the light of the sun.